Festive Foods for the Fourth! 1. Add fresh blueberries to your favorite strawberry shortcake recipe for a red, white & blue dessert. 2. In individual parfait glasses, layer strawberries, sliced bananas, blueberries, and chunks of red delicious apples. Chill and serve for a wholesome, patriotic treat. 3. Bake a blueberry muffin mix in an oblong cake pan, according to package directions. 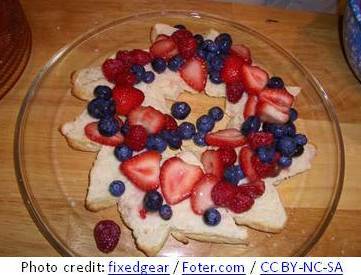 Allow to cool, then create the image of a flag on top using blueberries for stars, and alternate strawberries and whipped cream or whipped topping for stripes. Delicious! Enjoy our precious freedom. God bless America! Potluck dinners are awesome! But what exactly are they? Definition 1: Put whatever you happen to have on hand in the pot. This often involves some creative substitutions and surprise outcomes. 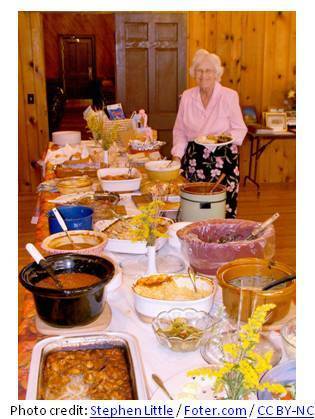 Definition 3: Each guest brings a covered dish. Together, all the dishes may make up a hodge-podge meal or they may be truly a banquet. Usually there is little or no coordination of planned dishes. Sometimes you may experience peculiar dishes with “mystery meat” or scary casseroles. 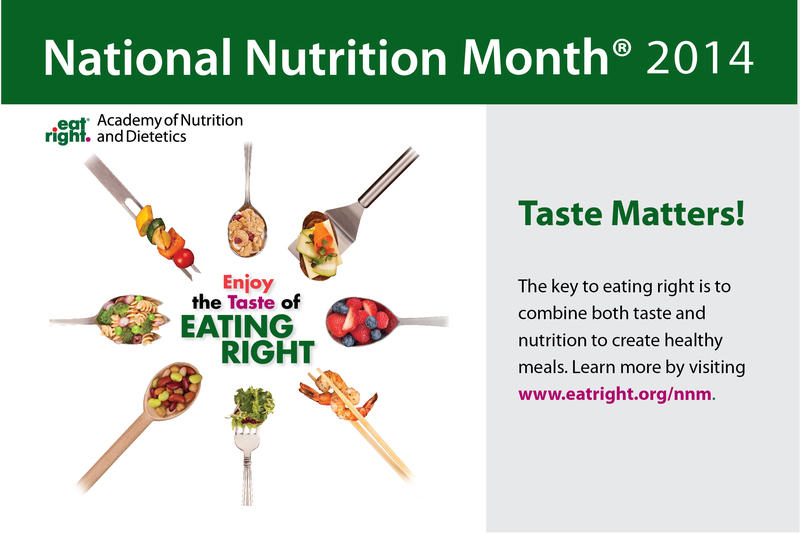 And often you will enjoy someone’s favorite recipe or their signature dish. Fellowship is what counts. It’s always a treat! Whole grains such as rye, barley, and pumpernickel make tasty, nutritious breads. The following recipe is one of my favorites. Packed full of a few simple, nutritious ingredients, it’s sure to be a family favorite. Preheat oven to 475 degrees Fahrenheit- this allows for loss of heat when placing the bread into the oven. Add liquid ingredients to dry ingredients and mix well. Divide into two parts for two loaves. Knead each half with a rolling action, adding flour to the surface to prevent sticking. To develop the gluten, knead until the dough can be pulled apart like chewing gum without breaking. Place each loaf into a large bowl, cover the bowl, and allow the dough to rise in a warm place until it has doubled in size. Punch the risen dough down and shape into loaves. Places each loaf into a lightly greased (cold-pressed olive oil) bread pan. Allow the dough to rise and double in size again. After the dough has risen a second time, place the pans into the preheated oven, turn the heat to 425 degrees and bake for ten minutes. After ten minutes, lower the heat to 400 degrees and allow to bake for another ten minutes. Finally, lower the temperature to 350 degrees and finish out the baking for 30 minutes. I hope you enjoy this recipe! 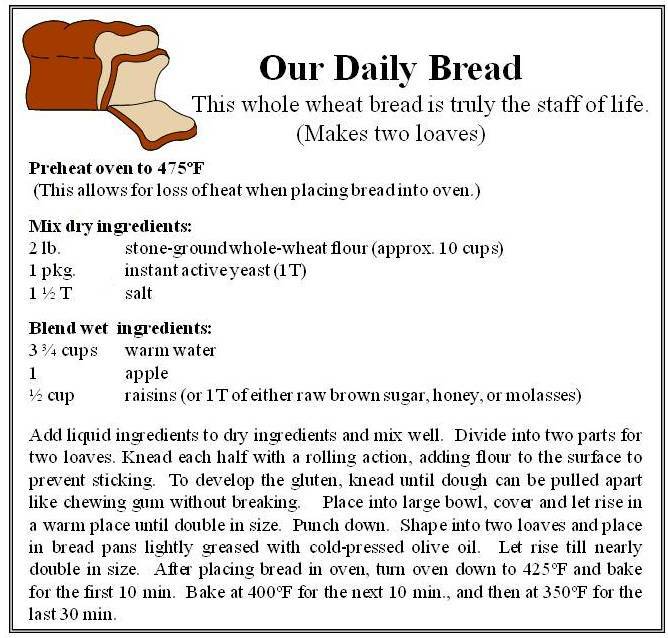 What is your favorite bread recipe?